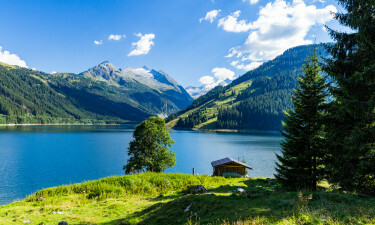 Austria is a small alpine nation that can be found in Central Europe and is bordered by a large number of nations such as Germany, Switzerland, Hungary, the Czech Republic and Italy. However, Austria has managed to retain its own unique culture and history. 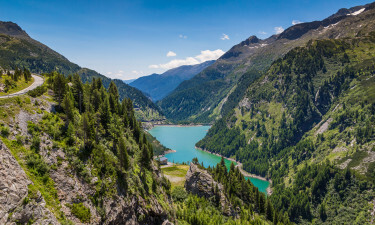 While hiking in the Alps is a popular activity amongst visitors who book a mobile home in the summer months, Austria is the winter sports capital of Europe and most visitors choose to stay in one of the stunning LUX-camps that can be found nestled in the Alps to experience skiing. What Makes Camping in Austria So Special? 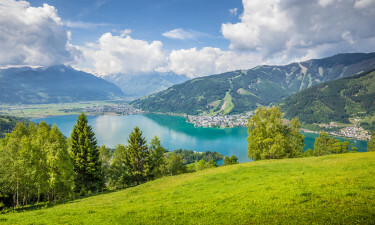 This stunning nation boasts one of the most diverse landscapes in the whole of Europe and people who enjoy exploring the Great Outdoors will really be in their element in Austria. A wide range of sports are possible here, from fishing and boating to skiing and rock climbing. The nation’s towns and cities combine rich history and culture with excellent amenities and are also great places to spend time. This is one of the smallest states in Austria and is home to just half a million people. Salzburger is home to the city of Salzburg as well as a large number of other settlements as well as the picturesque Hohe Tauern National Park. People who stay in a luxury camping site will be able to ride the cable car to the impressive Salzburg Castle and explore the area’s pretty lakes. Staying in the luxury accommodation in a LUX-camp will give visitors plenty of time to soak up the state’s scenery from the comfort of one of the impressive hot spring. Styria is also steeped in rich history and boasts a large number of castles and other buildings, many of which date back to Roman times. This historical region is set right in the heart of the Alps and serves as a good base for hiking and trekking. Visitors staying here will be able to spend their days wandering through the countryside to admire stunning lakes and traditional castles during the day before unwinding in the evening with a glass or two of locally brewed beer. Although there are no beaches in Austria, this tiny landlocked nation is simply bursting with natural beauty. Surprisingly, a number of stretches of sand can be found along major rivers and these often serve as makeshift beaches in the summer months. The range of attractions that are waiting to be explored in Austria are both diverse and enchanting. While most people are attracted to the country by its nature beauty, the rich history and culture of the country is sure to intrigue visitors. Some of the most famous attractions in Austria include Stephansdom, Cathedral at Saint Jacob, Schloss Hellbrunn and Hohensalzburg Fortress. 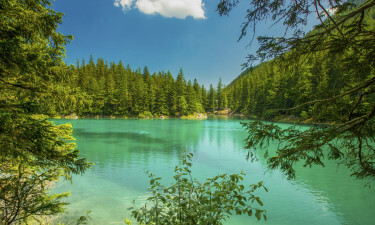 Austria has a continental climate and with no ocean breezes to moderate the temperatures in this landlocked nation, summers tend to be hot, while winters are often very cold with temperatures falling below zero. Lovers of luxury camping will be able to experience the intense natural beauty of Austria all year round. Austria cuisine tends to be very hearty and neat and bread play a starring role in most dishes. Eating, drinking and making merry are popular pastimes in Austria and visitors will find an excellent range of evening entertainment options to choose from while they spend time exploring the country. While at first glance Austrian culture may appear to be rather similar to that in neighbouring Germany, visitors will soon discover that the tiny nation also shares several traits with many of the other countries that surround it.